The thought of bringing in rustic restaurant decor to recreate the beautiful atmosphere of rural Romania is not a new one. Rustic restaurant decor has always been on trend in Romania. Recently, with so many restaurants now sporting farm-fresh menus, rustic decor became much more popular than it already was. The main concept of a Romanian inspired rustic restaurant decor is creating a cozy space where guests feel right at home and experience a Romanian traditional lifestyle. The rustic restaurant decor integrates elements found in a traditional house to portray Romanian traditional interiors, customs and traditions, including their food habits and pattern of agriculture. Here are 10 rustic restaurant ideas from the region of Moldavia, eastern Romania. The wonderful thing about decorating with antique chests and dowry boxes is that they add instant history and soul to any interior. There’s something especially human about the peasant woman’s dowry box. 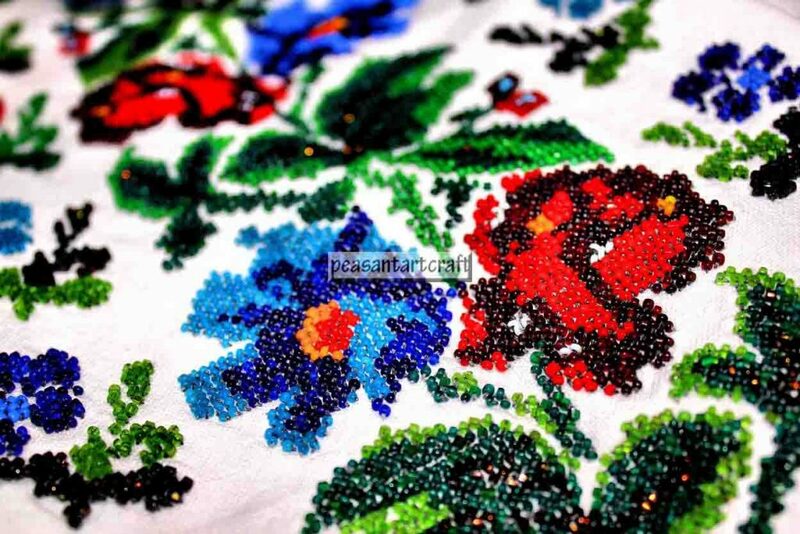 Various exquisitely crafted handmade textiles and celebration costumes were stored in the dowry box (lada de zestre). Other household textiles were stored in wooden chests (cufere) and benches that are fixed in the wall by a board and also a dowry chest (lavița), adorned with carved geometric, zoomorphic and anthropomorphic symbols. These antiques provide storage, visual weight and interest. Since the traditional towel wasn’t missing from any traditional house, it can add quite a bit to any Romanian rustic decor. The traditional towel is one of the most important textiles in a peasant household. It meets both utilitarian and decorative needs. Embroidered or woven traditional towels are intended to be draped around ceramic plates or icons. In the Romanian peasant house, wall rugs are valued both for adornment and warmth. It is a way of displaying a wife’s dowry and a family’s prosperity. Woven textiles are the major decorative elements, adding texture and color to the room. Romanians are traditionally used to prepare goodies for winter time. From late summer till early autumn, they prepare jam, zacuscă, pickles, cheese. They say people buy with their eyes, so who would resist a traditional pantry stuffed with homemade goodies? Peasant cooking and eating ustensils were of wood, pottery or metal. Wooden dough bowls, wooden spoons, tankards, mugs, trays, buckets add a primitive touch to any rustic decor. The stove was a central element in a Romanian traditional cottage, where they were preparing food and sleeping. This place was considered of high importance in a traditional house. A mud stove makes a surprising focal point. An old hutch can add decorative charm and rough-hewn textures, reinforcing the simple, homespun feel.